Set between the stunning Belledonne et Grandes Rousses mountain ranges, Oz en Oisans is made up of ten hamlets and the Oz Station resort. One of the many great reasons to stay in Oz-en-Oisans is that it shares the same ski area as Alpe d’Huez. Oz has an excellent nursery area in the village for beginners, whilst more experienced skiers can quickly access the excellent glacier skiing on the Pic Blanc. 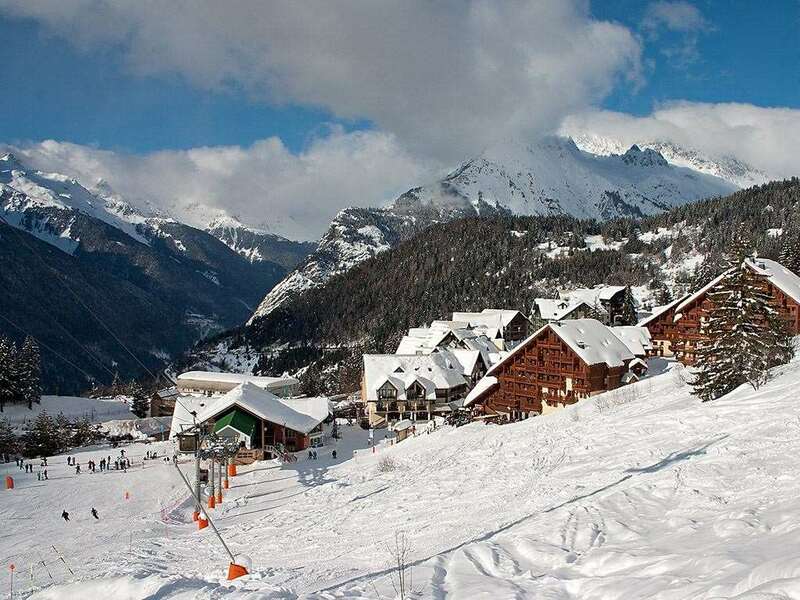 Oz en Oisans is linked by chairlifts, buses and a taxi service with Vaujany, Auris en Oisans, Huez and Alpe d'Huez . The hamlets of Oz Village, le Roberand, le Bessey, Sardonne, L’lle d’Oz, le Boulangeard, le Pontonnier, la Beurriere, la Voute, le Pre de L’Arche and L’Enversin are widely spread across the resort, which is one of the largest in the whole Oisans region. The houses here are built in the traditional style of the Oisans and offer a great insight into the history of the area. Ancient barns, wash houses and water fountains still stand here, alongside a 19th-century church in Oz village. The ski season here runs from December to April and are perfectly maintained, ensuring a fantastic experience for visitors. 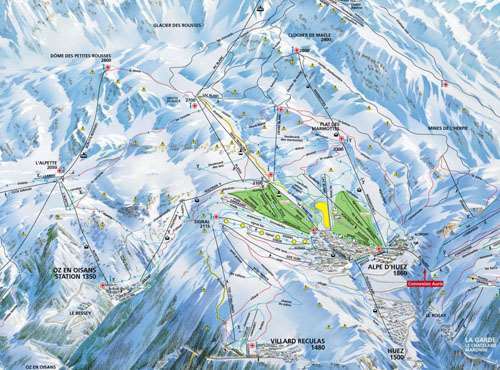 There are two ski areas accessible from Oz-en-Oisans: Oz-Vaujany and Alpe d’Huez grand domaine ski. The former of these is aimed primarily at beginners and there is 70km of piste, while the latter features the Sarenne, which is the longest black run in the world. There is a grand total of 250km of slopes here, offering plenty of choice for travellers. The resort also features a 2205km vertical drop. This takes around 1 hour 30 to complete but offers a stunning panorama at Pic Blanc. At 3330m high, it is believed you can see a fifth of France from the summit. Oz-en-Oisans features a variety of extraordinary restaurants. Auberge de l’Alpette serves a delicious selection of local food, while the La Grange Restaurant offers some of the best pizza in the whole resort. There are plenty of shops to wander around, too. Whether you want to take home some of the local food or you’re looking to pick up some new equipment, Les Myrtilles and Ski Tonic will have lots of great products to choose from. The closest airport to Oz-en-Oisans is Chambery, which is around 90 minutes away. Please note: The ski and mountain stats are for the entire Alpe d'Huez ski domain which is accessiable by ski lifts.